Cakespy Note: Of course, if you're like us, the first and foremost in your mind is "well, what IS in them?". Per the Betsy & Claude website, here's the ingredient list: our signature blend of organic, unhydrogenated palm fruit oil, organic, raw sugar, molasses, agar agar, flaxseed meal, vanilla, our signature flour blend (garbanzo, fava, sorghum, arrowroot and potato starch), leavening, xanthan gum, pear puree, apple puree, uniodized salt. Specific cookie flavors may contain gluten-free, soy-free and dairy-free chocolate chips, peppermint extract, ginger, nutmeg, cinnamon and/ or raisins. 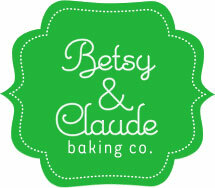 Cakespy: Your company is called Betsy & Claude. We know that you're the "Betsy"--so who is Claude? Elizabeth Gordon: As you said, despite the fact that I go by Elizabeth now, I grew up as "Betsy". I know that it is corny, but Claude was my imaginary friend when I was a little girl. We spent a lot of time together in my play kitchen cooking up all kinds of concoctions, so I thought that he deserved to be included in the name of my new, online bakery. CS: Can you tell us a bit about how you got started making gluten-free, soy-free, egg-free, nut-free, dairy free cookies? EG: After the birth of my first child in 2003, I was diagnosed with a wheat and egg allergy, and I felt like my life was over. I couldn't imagine not being able to eat another cookie or piece of cake, and it felt like everything contained wheat or eggs. When I dropped out of a PhD program in 2005 to pursue a life-long dream of working in the culinary arts, I started to play around with alternative flours to see what they could do. Faced with a lot of time and no formal research to conduct since I was no longer in school, I launched my own "research" project. I dabbled at first and then became nearly obsessed with making the "perfect cookie". The research culminated last year in hours and hours in the kitchen and a huge variety of wasted flours. My husband thought I'd lost my mind, but I wasn't willing to stop until I developed something that I wouldn't be embarrassed to serve to other people. CS: Egg-free, nut-free, soy-free and dairy-free are pretty self explanatory. However, can you tell us what it means for something to be gluten-free? EG: Gluten-free denotes an item being made completely free of any grains containing gluten (ie: wheat, spelt, barley, oats, kamut, triticale, rye, most commercial blends of buckwheat, malt and modified food starch (because it is usually made from wheat unless it specifically states "modified corn starch") ). There is controversy where oats are concerned. Some people feel that they are tolerable, but since the jury is still out, I do not use them in my baking. Actually, nut-free is not as straightforward as I used to think. Recently, the FDA reclassified coconuts as tree nuts. I just want to assure people that I do not use it in my recipes. CS: Are you formally trained in baking? If not, how did you learn how to bake? EG: Yes and no. I studied cake design under Toba Garrett at the Institute for Culinary Education in NYC and did an internship for Elisa Strauss at Confetti Cakes. I also trained with Scott Clark Woolley and learned how to make a mean sugar flower. However, I do not have a formal pastry degree. Most of my ability was cultivated in my mother's kitchen as I was growing up. She is a fabulous and prolific baker, especially at this time of the year. CS: Do you ever miss the taste of cookies made with butter and eggs? EG: Not really, but I do miss omelets. A lot. 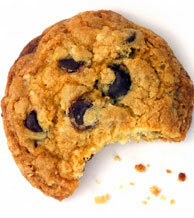 CS: Do dairy, gluten, soy, egg and nut-free cookies really taste good? EG: Well, as I discovered when I first found out about my allergies, not all of them do. However, Betsy & Claude cookies are just like the homemade cookies that I ate as a little girl, which is why they took so long to develop. They are baked in small batches and sent fresh, and that goes a long way in terms of taste. While I am biased, one of the moms at my daughter's school exclaimed today: "Those Gingersnaps are [and this was her own word] YUMMILICIOUS! You'd never know they aren't the real thing". CS: How often do you eat your own cookies? EG: A pattern has not yet emerged. My vote would be for gingersnap, though. They are nice and spicy and a great substitute for a gingerbread man at this time of the year. CS: These cookies are your initial product offering. Do you think you'll add any other baked goods to the mix? EG: I would love to add more as I grow. Right now I'm a one-woman-show, and I'd like to keep it simple so that my level of quality doesn't dip. I want to do this and do it well before I branch out in other directions. However, I'd love to develop a few more flavor offerings sometime in the next few months. CS: Your cookies cost $21 per pound. About how many cookies is that? EG: Approximately 16. However, the weight of the cookies seems to be affected by the weather. At this time of the year, the air is very dry, so the cookies are a little lighter. On a humid day, they might be a little heavier. Weird, I know. CS: Your site says that you'll do custom flavors. Have you ever done any strange or exotic custom orders? EG: Yes, I will do custom flavors if I think that I can create something that works, and if I'm not too busy. Right now, I've gotten some amazing press coverage, so I won't be able to do custom orders until after the holidays. The craziest one I've gotten so far was for S'mores, which isn't so much exotic as it is a good idea. CS: What is the hardest part about doing your type of baking (ie, restricted and free of all of those ingredients)? EG: I would have to say that the hardest thing about this kind of baking is not being able to accommodate every single allergy or dietary concern. Many people have asked about sugar-free cookies, and I would love to be able to make them. However, as I've repeatedly said, producing something that looks and tastes like a real cookie is of the utmost importance to me. That means that I haven't been able to eliminate sugar from the cookies, because when I have, they taste terrible and look like puddles of unappetizing yuckiness. I hate hanging up the phone or having to email someone back and say that I simply cannot provide their sugar-free flavor request. I really wish that I could come up with an alternative solution to that one, but I haven't yet. CS: If a dairy eater were to try one of your cookies, can you tell us what they might expect in terms of taste difference between your cookies and the typical made-with-dairy cookie? EG: I can honestly say that he or she probably wouldn't notice a difference in terms of flavor or texture. My chocolate chip cookies are intentionally crunchy, but that really has nothing to do with the alternative ingredients. CS: Are there any bakers, cookbooks or websites that inspire you in particular? EG: Well, at the risk of sounding trite, of course, my mother is an inspiration. Martha Stewart's cooking and baking talent as well as her branding genius are something to strive for. Elisa Strauss at Confetti Cakes has played an enormous role in my decision to do this professionally, and I was recently at Pure Food and Wine, and I have to say that what they can do without heating their ingredients is absolute magic. That meal definitely challenged me and made me want to start playing around in my kitchen laboratory again. Have you tasted that ice cream?! It's amazing. CS: We heard that you give a portion of your profits to Autism research foundations. Is that true? EG: Yes, it is. I was a social worker before all of this, and I feel like it's very important to give to others whenever we can. The cookies lend themselves to the Autistic population, since a common method of treatment is a gluten and dairy (casein)-free diet, so I thought that an Autism charity would be the appropriate venue for my charitable donations. I wish that I could give a lot more, but as I start making a little more money, I will. CS: What is next for Betsy & Claude? EG: That's a great question! I really want to take things one step at a time. Right now, I just want to focus on building a solid base of new and returning customers who are really satisfied with our products and customer service. Of course, ultimately, I'd love to combine my research background with my baking and do a cookbook. Betsy & Claude is located in New York City, but can ship anywhere in the US. 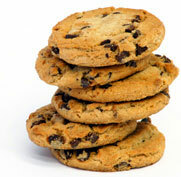 To order cookies online or for more information, please visit betsyandclaude.com. Thank you to Betsy & Claude for letting us use their imagery.